Brainwashed - Tomoko Sauvage, "Musique Hydromantique"
Although she has only released one full-length album before now, Paris-based artist Tomoko Sauvage has been making very strange and beautiful music for over a decade. The reason for that lean discography became instantly apparent when I watched video of one of her performances, as a mere recording cannot hope to capture the fascinating and ritual-like installation that makes her work so singular: Sauvage sits in a circle of ceramic bowls beneath ice blocks suspended from the ceiling by rope (each bowl mic'd with a hydrophone). As can be expected, there are plenty of slowly dripping and gently sloshing sounds to be found here, but Musique Hydromantique takes the idea of water-based sound art to a much deeper and more compelling extreme than I previously thought possible, manipulating subaquatic feedback and "singing bubbles" to wonderfully eerie and otherworldly effect. Tomoko Sauvage has unquestionably carved out a distinctive niche over the course of her career, as I cannot think of any other artists who could reasonably be described as "obsessed" with hydrophonic feedback, but her process has evolved quite a bit since her 2009 debut (Ombrophilia). This latest suite of pieces, for example, is considerably more naturalistic than Ombrophilia's studio compositions, as Sauvage recorded Hydromantique "live" with no electronic effects or editing. Normally, I do not care all that much whether someone performed something live, as I would rather hear something that sounds great rather than something "artistically pure" that could have been better if the artist had spent more time on it and used all of the tools at their disposal. In Sauvage's case, however, that distinction matters a great deal, as the machine-like noises in "Fortune Biscuit" become a dazzling feat of sonic sorcery rather than a mere nod to musique concrète/field recording. The secret lies in the aforementioned singing bubbles, which are apparently created by porous terra-cotta. It is worth noting that Sauvage's vision was initially triggered by a Jalatharangam performance by Aanayampatti Ganesan, which involves water-filled porcelain bowls of different pitches being struck (like a xylophone). After watching videos of both artists, the word "obsession" seems completely apt for Sauvage's approach, as the only real similarity is that she too fills bowls with differing water levels to make different pitches. Nearly everything else that Sauvage does is a radical innovation on an ancient art: amplifying the smallest sounds, focusing on what is happening under the water, employing chance as a compositional device, unveiling the secret sounds of ceramics, and working with random drips and layers of sustained tones rather than melodies. Obviously, using a hydrophone to record water dripping into bowls results in an extremely constrained palette, but each of Hydromantique's three pieces has its own distinctive character (figuring out how to achieve that is probably another reason why Sauvage records so infrequently, I suspect). The opening "Clepsydra," for example, sounds like a woozy, slow-motion and impressionist recording of dripping stalactites and overlapping church bells (Sauvage gets deep, ringing tones by flicking the side of her bowls). "Fortune Biscuit," on the other hand, sounds like a roomful of malfunctioning sewing machines (or a crackling and indistinct shortwave radio transmission) beneath a shifting and ghostly feedback drone. As much as I enjoy the other pieces, "Fortune Biscuit" is the one that captures Sauvage at her most ingenious, harnessing and amplifying the strange and unique properties of "biscuit" (porous terra-cotta). Sauvage saves the best for last, however, as the epic 20-minute "Calligraphy" is easily the most hauntingly beautiful work on the album. Sauvage recorded the piece in an echo chamber located in a former factory and makes inspired use of the resultant reverberance and extended decay times. 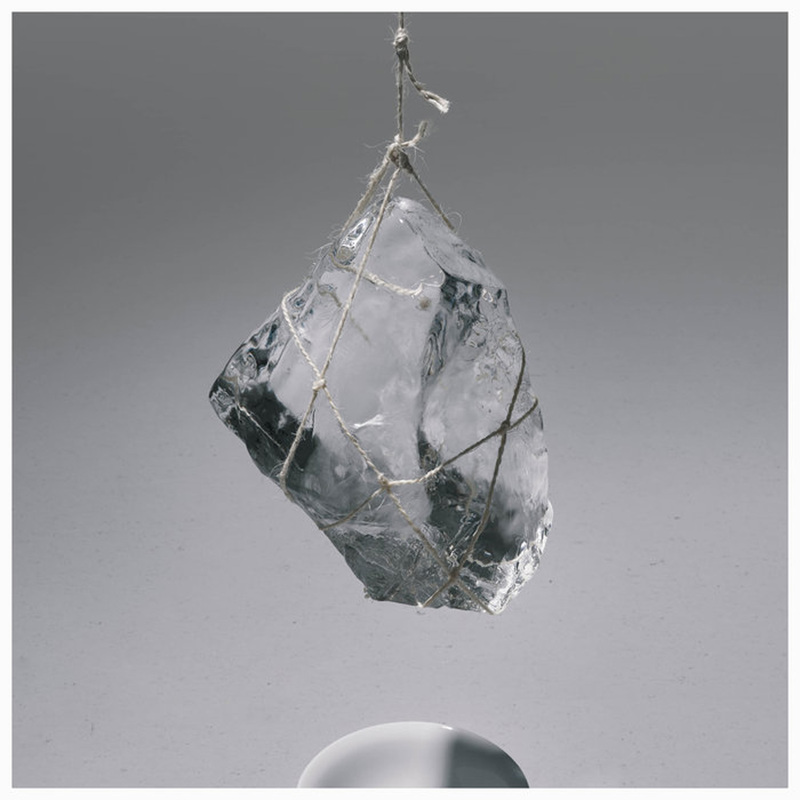 While there is an erratic backdrop of Sauvage’s usual deep bell-like tones and dripping water, "Calligraphy" is very much a drone piece primarily devoted to her beloved subaquatic feedback. Sauvage subtly manipulates the bowls' ringing tones by slowly dipping a fist-sized orb into the water, subtly altering the water level to create glissandi and something like vibrato. The overall effect is quite an eerie and supernatural-sounding one, as Sauvage's indistinct, whining tones overlap, intertwine, and slowly slide to weave fleeting dissonant harmonies. Obviously, there are a few caveats with a release such as this, the most obvious being that Musique Hydromantique is unapologetically challenging sound art. Also, Sauvage's aesthetic is a quiet, understated, and slow-moving one. As such, these songs require significant patience and focused attention to fully enjoy. Also, an understanding of how the sounds are created is an essential part of the experience, as the process is the most compelling part of Sauvage's aesthetic. Her light touch, calm focus, devotion to chance, and reverently ceremonial performances makes it seem like these curious and magical sounds have always existed (just outside our threshold of hearing) and were patiently waiting millennia for an especially sensitive channeler to turn up and finally bring them to our attention. In some ways that is true, but there is also a great deal of intelligence and ego-less artistry in how they are harnessed and presented here. All of that adds up to a particularly rarefied and exquisite pleasure, particularly since iconoclastic new works by "serious" composers seem a bit rare these days (though Michael Gordon, Ellen Fullman and Eli Keszler spring immediately to mind). Musique Hydromantique is a work very much in the tradition of visionary folks like Alvin Lucier and La Monte Young: it is an album that only Sauvage could have made and it is hard to imagine anyone else taking this direction any further, yet this simple, pure, and meditative work is a beguiling self-contained world that reveals a wealth of intriguing new possibilities.